With great pleasure I present you the new album by New Zealand band Ounce. The five piece with their fuzzy sound delivers a great record with their very own sound. ‘OZ’ is filled with motorik, garage, fuzz and psychedelic rock making it one hell of a groovy album. THe album was made possible with 1:12 records. Buy yourself a copy at their bandcamp or Flying Out Record store. Check them and more ate Fuzzy Sun’s psych list. This is one of those bands with a bright future ahead. The New Zealand band Ounce have released two singles from their upcoming album ‘OZ’ wich will be released March 1. The psychedelic rockers have mastered their own unique sound, with a mix of kraut, psych and garage they are ready to release on hell of an album. Ounce is a band to watch! Check the singles here and get ready for the release on March1. This five pieve psychedelic rock band needs your attention. 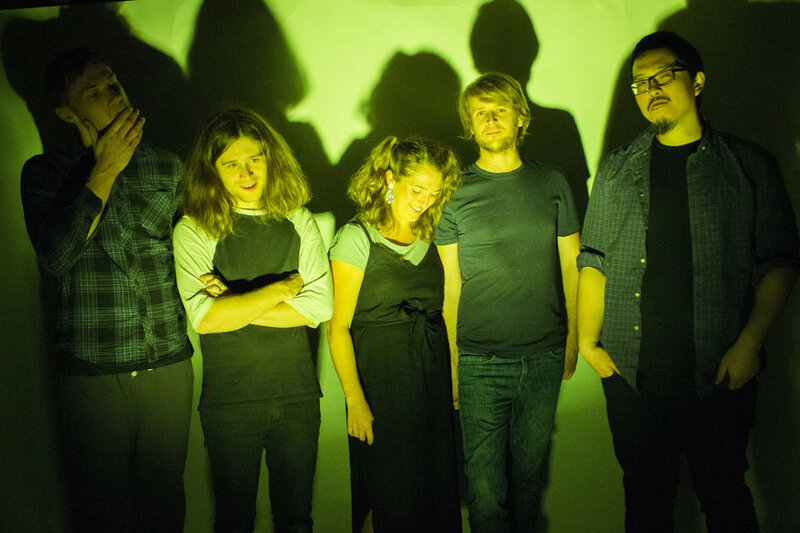 The Auckland band that blends psych and garage with ease. Their new track “Electric Eye” is from their upcoming debut album OZ VOL. 1 And will be released in 2019. I am sure we will hear a lot from this upcoming band! Enjoy!